Find the missing book titles to win National Book Tokens! Help! The bookshelves at National Book Tokens HQ have fallen down and we've lost some of our book titles! We're looking for young readers to help us find the ten missing words below - are you up to the challenge? If you get all ten correct, we’ll enter you into a prize draw to win one of five £10/€10 National Book Tokens so you can go on your own book adventure! Five winners will be picked from correct entries every month, so there are plenty of chances to win. Anyone can play the quiz, but If you’re under 16, you’ll need a parent’s permission to enter the competition. See our terms and conditions for more information. Every month for the duration of the competition, five winners will be drawn at random from all correct entries received that month. Each month’s winners will be drawn and contacted within 14 days of the month end. 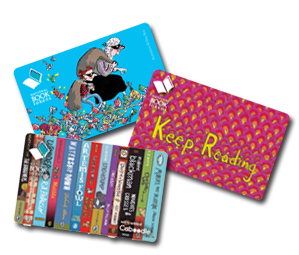 Each winner will receive a £10/€10 National Book Tokens gift card. The competition begins on 26th March 2018. Winners for April 2018 will be drawn from correct entries received from this date until 30th April 2018. A correct entry constitutes 10 correct answers. A correct entry must be accompanied by the required entry details (first name, last name, age, email address of entrant or of parent/guardian if entrant is under 16) in order to be valid. Entires received without the required details will be considered null and void. Winners will be contacted by email. In the event of a winner not responding after 5 days, the Promoter reserves the right to allocate the prize to another winner. Final closing date 11:59pm on 30th April 2019. The competition is open to UK and Republic of Ireland residents except employees of the Booksellers Association and Book Tokens Ltd. and participating bookshops. Entrants under the age of 16 years must get permission from their parent or guardian. Entries from entrants under the age of 16 received without a parent/guardian's name will be considered null and void.